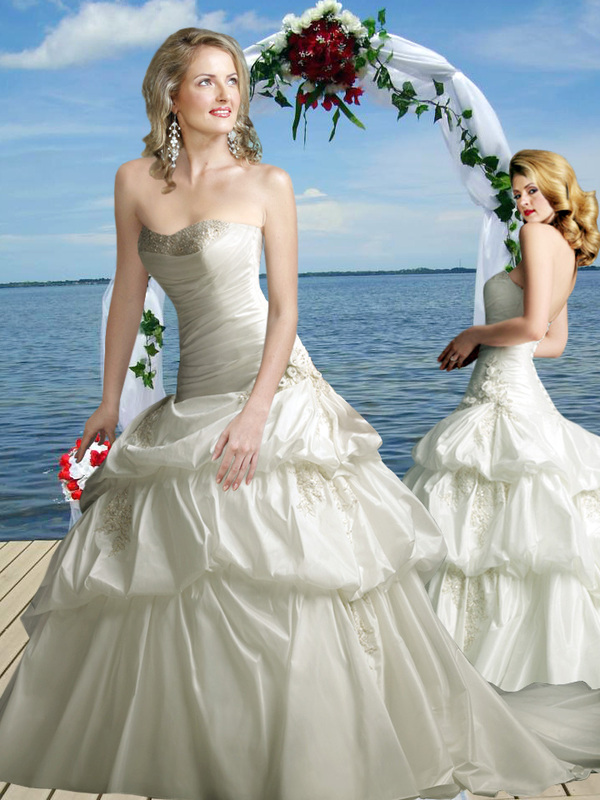 This classy fluffy pattern of the bridal gown will make you look like a princess. It features a flower appliqu�s around the waist making the wearer look exquisite adding glamour and style to the whole attire. The attractive bodice is sprinkled with sequins making it an eye catchy feature.